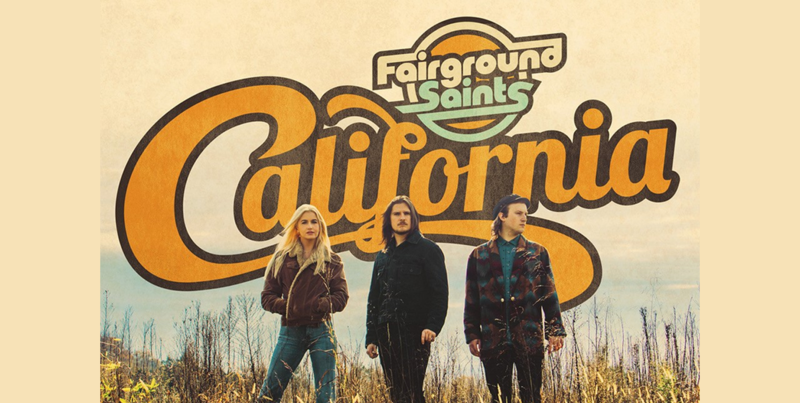 Buzzing California-bred and Nashville-based trio,Fairground Saints – Elijah Edwards, Meg McAllister, and Mason Van Valin – have released their new song, “California” today. The track was produced by Marshall Altman (Natasha Bedingfield, Walker Hayes, Frankie Ballard, Amy Grant, Eric Paslay) and mixed by Ryan Hewitt (The Lumineers, Brandi Carlile, Dixie Chicks). The lyrics are filled with signature California imagery and the instrumentals boast the trios breezy, So-Cal country sound with McAllister’s beautiful vocals at the forefront. “California” is available now on all digital retailers and streaming services HERE. “California” comes on the heels of the release of “Somewhere Down the Line,” which was the first music released under the group’s newly-minted, global development partnership with Sony Music Nashville and Sony-owned distribution and digital marketing arm The Orchard. The track was praised by Rolling Stone who stated that the song “…marries the coed Californian harmonies of Fleetwood Mac with the polished punch of modern country-pop.” The two tracks are just a taste of what’s to come from the band’s exciting forthcoming EP, which is due out later this Spring.